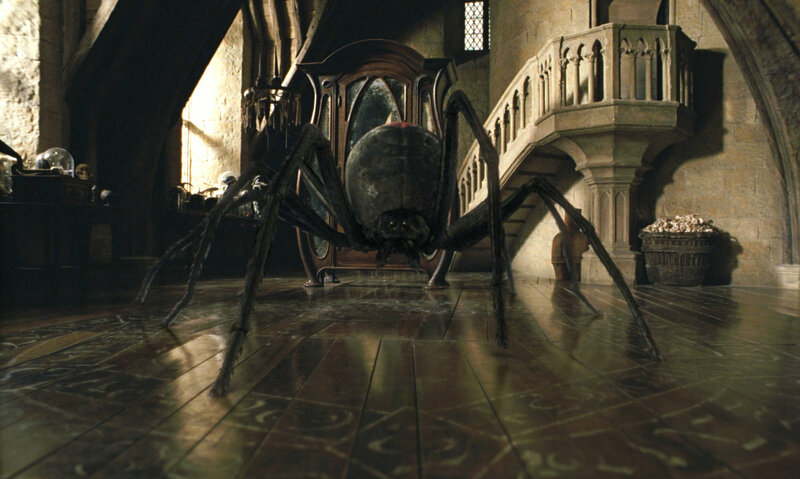 There’s a big part of the third book in the Harry Potter series, Harry Potter and the Prisoner of Azkaban, and in my review of it here, that I didn’t address: the boggart creature. I wanted to save discussion of it for its own entry here on my blog. In the book, Harry’s boggart takes the form of a Dementor because it’s what he fears most. Ron’s is a spider. Hermione’s is Professor McGonagall failing her in all of her classes. Lupin feared that Harry would see Lord Voldemort, so that’s why he wouldn’t let Harry fight the boggart in front of the class. Nevertheless, naturally, then, my first thought is, what would my boggart be? But that’s a hard question because a lot of my greatest fears are abstract things that couldn’t take a physical form. It’s a toss up of that which I fear most. Either it’s public speaking in any form or the fear that I’ll die having not lived up to whatever potential I supposedly have. After that, it’s probably going mentally insane. But of course, there are physical things that scare me. Like Ron, I, too, fear spiders and really, any crawling things, except for babies, but those, too. Honestly, I’m looking to what scares me most when I watch horror movies and I think it’s demons. The Exorcist, even now, makes me uncomfortable, but it especially scared me as a kid. So, I think my boggart would likely take the form of a demon of some sort, as I’m not sure how a boggart could represent a fear of public speaking. So, what would your boggart be? I didn’t even have to think for more than a second. I’ve had to take one child off life support, and my living daughter has an eventually terminal illness. My boggart is one I have to fight back mentally every day. It’ll happen eventually, and knowing that is the worst part. Oh wow, that’s heavy and thank you for sharing it with me. That would be horrible to have to see that represented. I’m fortunate that my worst fear is public speaking. It is heavy and horrible. You’re welcome. I speak openly about what I’ve been through because you never know when someone needs to hear they aren’t alone in something. You are very fortunate – but I also feel you on the public speaking. Geesh. I get cold sweats just thinking about it! This is a question I’ve dwelled with for a long time, and I’d probably say failure. So I’m more like Hermione with her failing her tests and all.